We have always self-performed foundation and concrete work. Through the years, we have completed shallow and deep foundations, slabs, exterior concrete, cast-in-place retaining walls, equipment foundations, and tilt-wall construction. 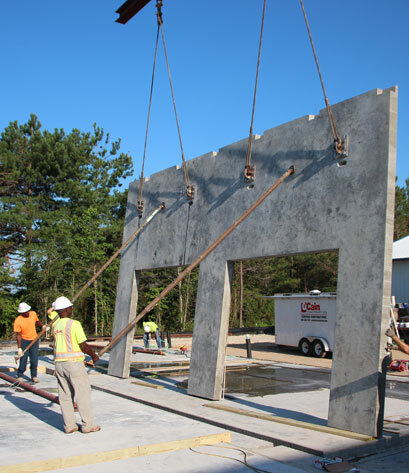 Our concrete team has experience with foundation/slab work on projects ranging in size from 2,000 sf to 160,000 sf. We also offer these services to other general contractors on larger projects when our expertise is needed.